Castle Hayne is a quiet bedroom community less than ten miles from the heart of Wilmington, about 20 minutes from Wrightsville Beach, and less than an hour from Topsail Beach. Named after the home of Captain Roger Haynes, who, for 150 pounds sterling bought the acreage in 1731 where he constructed a large home that the surrounding population came to refer to as "The Castle". Castle Hayne has a population under ten thousand and lies beyond the city limits of Wilmington providing an opportunity for lower tax rates. Considering buying or selling a home in Castle Hayne? 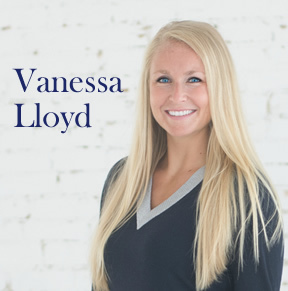 Call Vanessa Lloyd at (910) 408-7224. Castle Hayne is an unincorporated community where residents cling to a robust river and farming history, a rural heritage, an attractive waterfront, beautifully mature trees and a unique small town feel. Many residents, when asked why they choose to live in Castle Hayne, cite the large lots, the abundance of open space, the small town feel, the proximity to the Cape Fear River and a lack of traffic while still being close to the restaurants, shops, and events in Wilmington. Castle Hayne is surrounded by surface water. The community is located within the Price George, Holly Shelter and Little Creek watershed, all of which drain into the Cape Fear River. A good portion of Castle Haynes lies at the water's edge. The largest park in Castle Hayne is Castle Hayne Regional Park, which is owned, operated and maintained by New Hanover County. Amenities at the Castle Hayne Regional Park include 43 playground facilities, ball fields, tennis courts, picnic shelters and a disc golf course. Castle Hayne is also home to a regional boat launch owned and operated by the North Carolina Wildlife Commission and Riverside Park with an observation pier, picnic area, and a community center. Castle Hayne offers a variety of real estate options to choose from including one of the Wilmington area's coolest developments, River Bluffs. If you are interested in exploring homes for sale in Castle Hayne, we're here to help. Give us a call at (910) 408-7228 for more information.